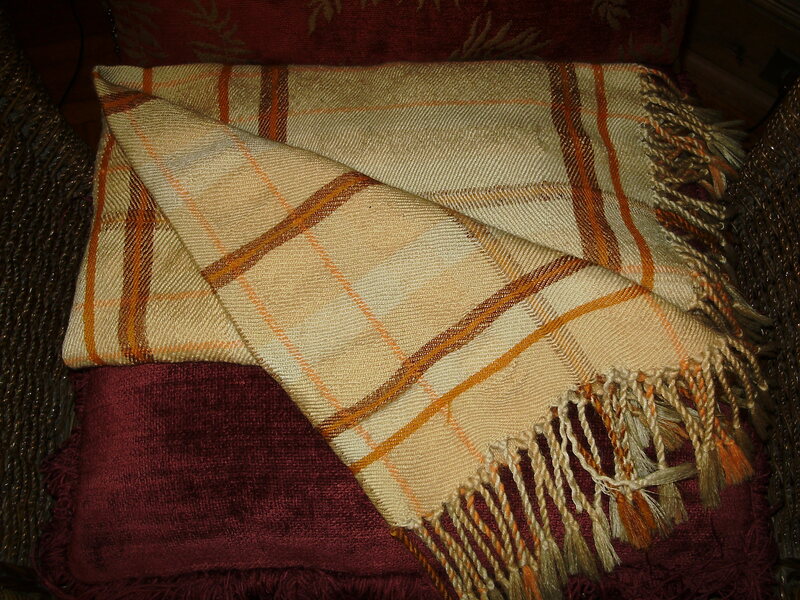 Is This Handwoven Baby Blanket Old Enough to Be an Heirloom Yet? 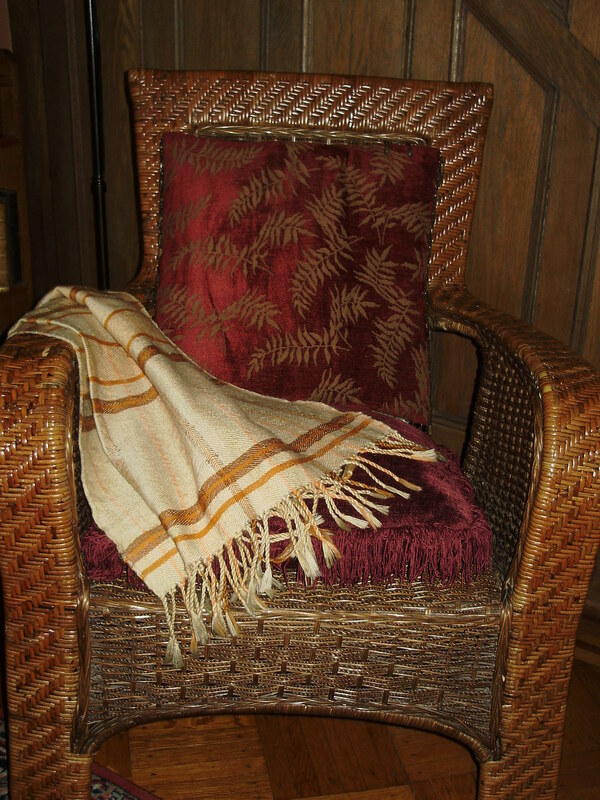 My sister wove this blanket as a gift for her soon-to-be nephew when I was pregnant with my son, Matt. At that time (forty years ago! ), my husband had abundant red hair and a luxuriant red beard, so we all thought that Matt might turn out to be a redhead, and the blanket’s colors were chosen as a reference to his possible appearance. As it turned out, he inherited my looks and has dark brown hair and eyes. Another view of the blanket. 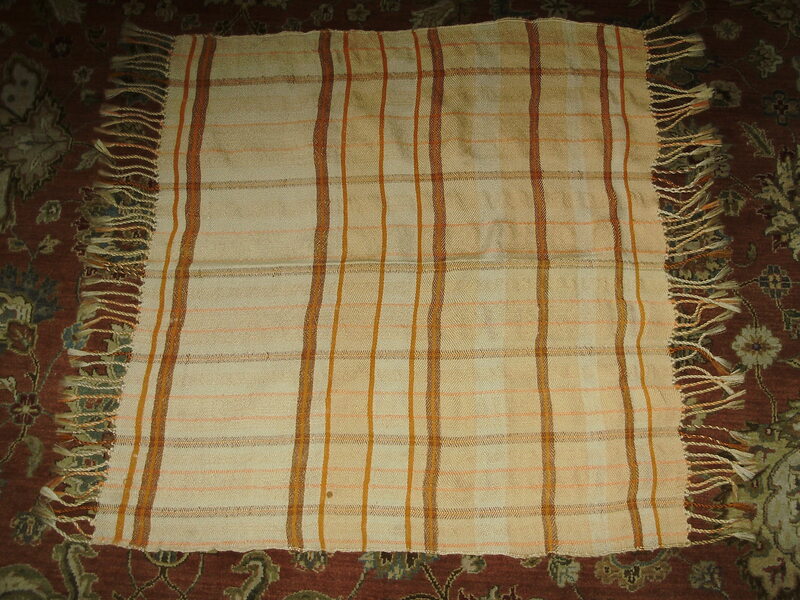 The blanket is about 30″ by 30″, not counting the fringe. As you can see, the pattern is an interesting irregular plaid. 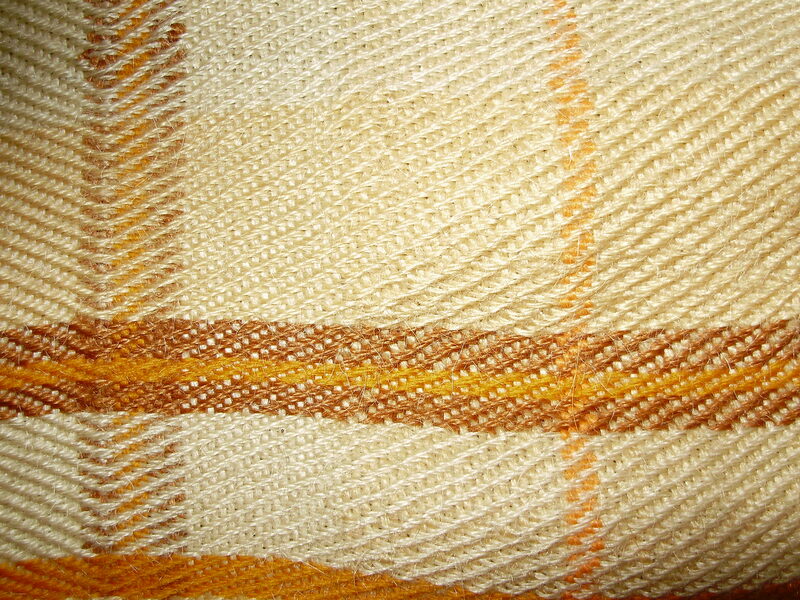 The weaving technique my sister used created a twill effect. 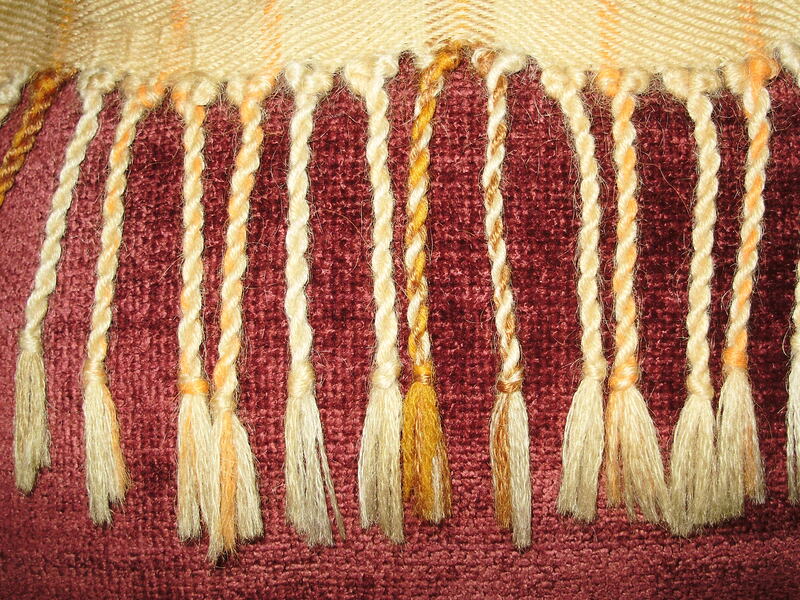 And the ends are finished with fringe.